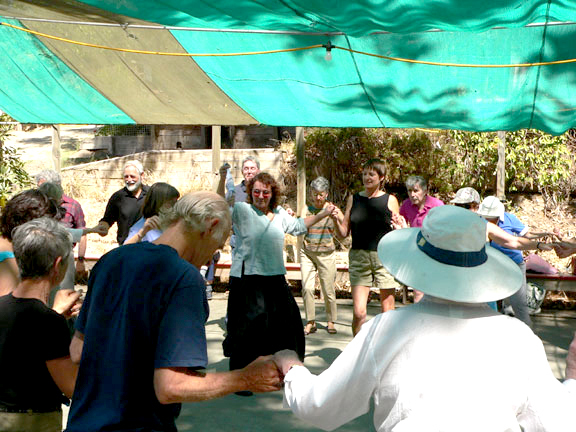 Dancing at Max's Farm-Cindy Hughes, sadly no longer with us, in the center. Official publication of the Folk Dance Federation of California, Inc.
Let's Dance! is published monthly with the exception of the May-June and July-August issues, which are released each two month period. Gary Anderson , Editor.